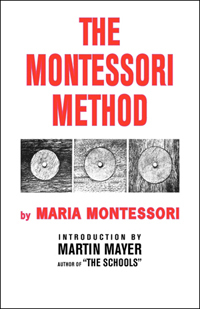 Hardcover edition of The Montessori Method by Maria Montessori. Scientific pedagogy as applied to child education in "The Children's Houses" with additions and revisions by the author. Translated from the Italian by Anne E. George and with an introduction by Martin Mayer, author of "The Schools." Educators will appreciate having this hardcover classic in their collection.